Management Development is a comprehensive, analytic and up–to–date text covering all the key elements of this critically important human resource activity. For HRM students at all levels, including those on IPD programmes, and for human resource managers it provides a framework for understanding the core concepts that both reviews best current practice, and questions it. Strategic integration and career development. Analysis of managerial work roles and identification of development needs. The differing needs of diverse managerial groups from women managers, technical specialists, international managers and board members to small business managers. Written by two leading academics with wide consulting experience this new text gives a definitive and critical introduction to the field. 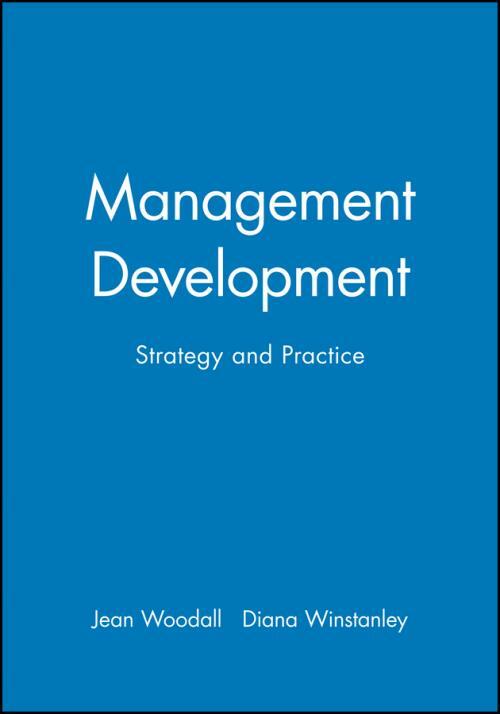 There can be no doubt that management development is one of the issues critical to corporate competitiveness and students in both human resource and general management studies will find this an indispensable guide to the key issues. Part I: The Purpose of Management Development. 1. Management Development: Purposes, Processes and Prerequisites. 2. Management Development and Organizational Strategy: Justifying and Evaluating the Business Focus. 3. Supporting Individual Managerial Careers. Part II: Identifying Development Needs. 4. Understanding Managerial Work, Roles and Competences. 5. Methodologies for Analysing Managerial Roles and Competences. 6. Analysing Individual Development Needs. Part III: Management Development Interventions. 7. The Managerial Learning Process and its Context. 8. Using Formal Off the Job Management Development. 9 Work–based Management Development Methods: Informal and Incidental. Part IV: Meeting Different Management Development Needs. 10. Management Development for Professionals. 11. Management Development for Women. 12. Management Development for International Managers. 13. Executive Development and the Top Team.